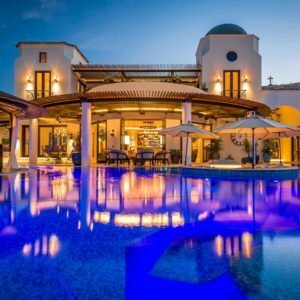 Find the perfect property for your vacation, choose from a selection of the best villas in Los Cabos area, featuring all the services your group or family may require. Inquire today and let our travel experts guide you to a high-end experience at an affordable cost. Vacation with us at the most affordable cost. We offer competitive rates and are happy to accommodate requests. 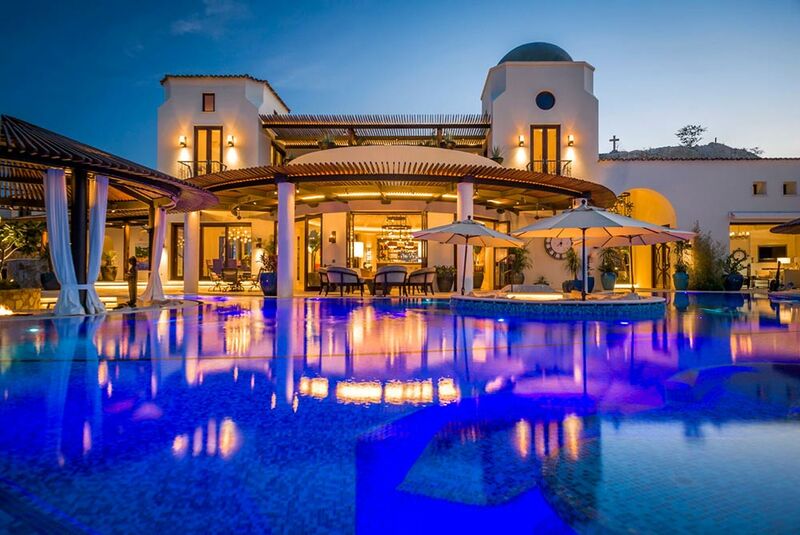 Your villa is paired with a personal concierge. Ask your attendant questions about your luxury villa 24/7 during your stay. Before every check in, we take the time to personally inspect your villa. Your satisfaction is our priority. Quality begins here. 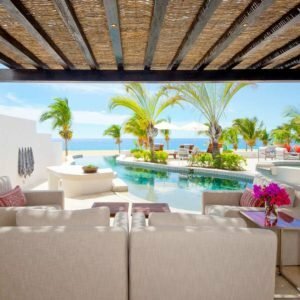 In a world of fast-paced lifestyles and busy schedules, it is at times a daunting task to sort through an endless stream of vacation rentals and hotel packages. 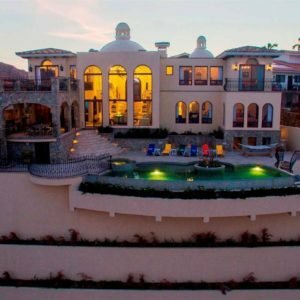 The staff at Cabo San Lucas Villas specializes in creating a totally different experience… a vacation stay in Cabo San Lucas in a private villa! Your own private vacation villa where you can truly relax in privacy with as much or as little pampering as you desire. 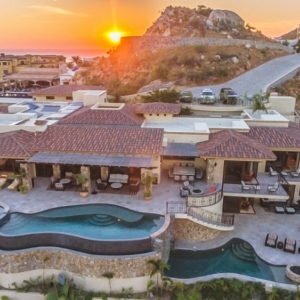 Most villas in Cabo rent for a per room price which is comparable to the cost of a quality hotel room. 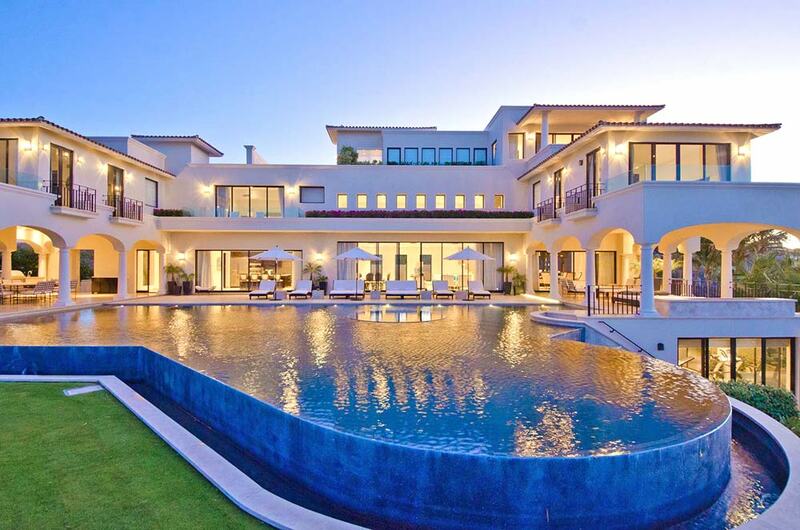 Quite simply, you have the luxury and service of a 5-star hotel within the privacy of your home. Let us help you plan your next family reunion, annual corporate conference, a wedding, special anniversary, or a simple get away from it all vacation. Our private villas offer all the comforts of home while our staff attends to your every need. 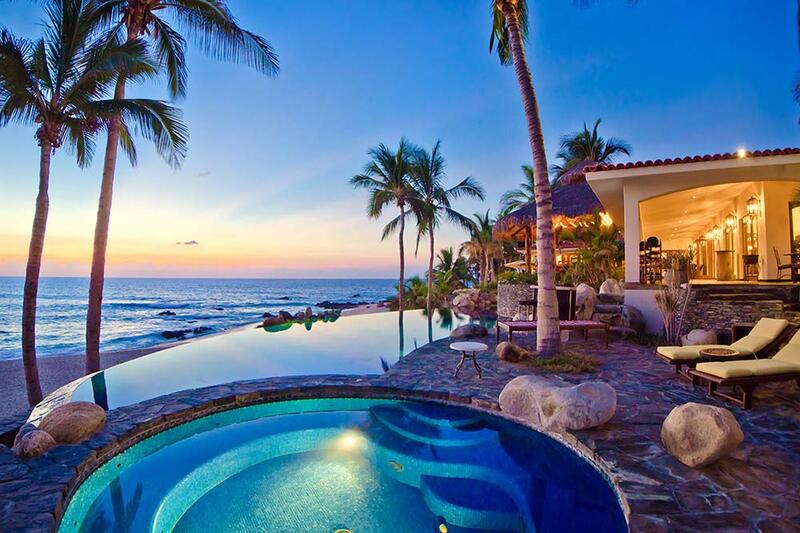 If an all-inclusive vacation is what you seek; we can suggest a luxury resort. Your vacation needs are but a phone call away, we’ll take care of the details! 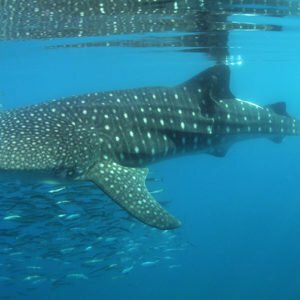 We have found that Cabo San Lucas and San Jose Del Cabo in Baja California Sur regions of Mexico offer the modern traveler a unique combination of upscale activities, unspoiled beauty, incredible cuisine, and a great climate. All are within close proximity and offer easy accessibility to the U.S. 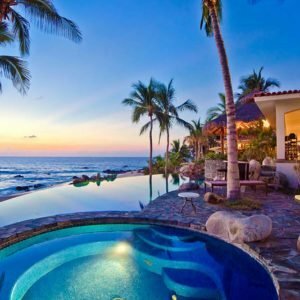 The region of Los Cabos is located at the confluence of the Pacific Ocean and the Sea of Cortez with stunningly beautiful beaches. The climate is warm and dry with desert mountains dropping into the deep blue ocean. 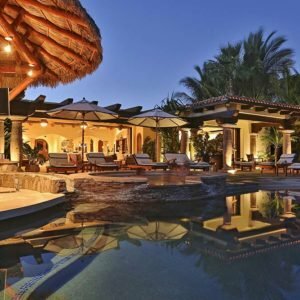 Our listings of deluxe villas in Cabo San Lucas and San Jose Del Cabo, offer some quaint secluded homes near the sleepy little colonial town of San Jose Del Cabo, some beautiful beachfront villas along the corridor between San Jose and Cabo San Lucas as well as a variety of grand mountainside villas in Cabo San Lucas itself. 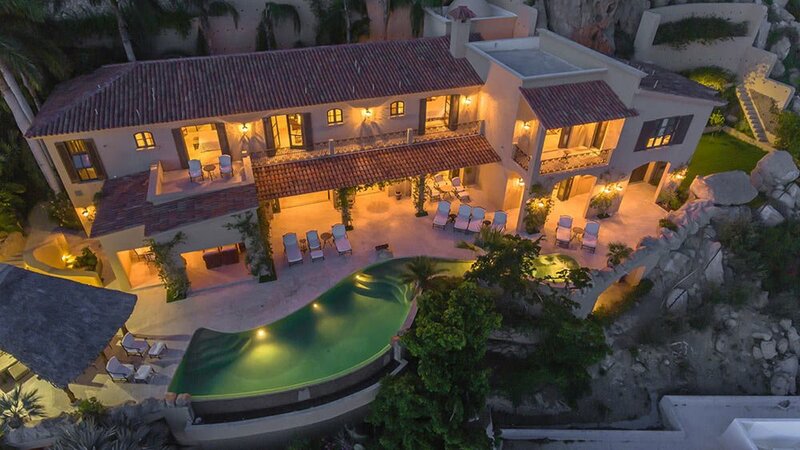 All of our villas have pools, and each one is unique and offers its own added amenities and staff, which are listed within each villa description. We are more than just a vacation rental company. We focus on providing you with a completely customized retreat. 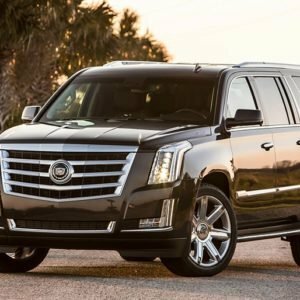 Whether it be friends, family, clients or employees, you can be assured that every need you have will be fulfilled and that we will provide only the best service. We arrange trips for groups of any size by offering single villas or combining a grouping of villas within close proximity. Building itineraries as versatile as you like is a specialty of ours. 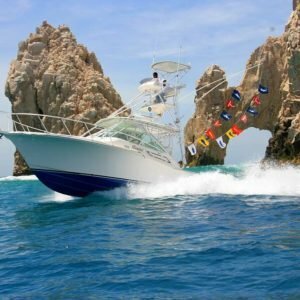 Preferred tee times on the best Cabo San Lucas golf courses, private Cabo San Lucas fishing charters, whale watching or spa treatments are just a few of the activities that we can arrange for you. 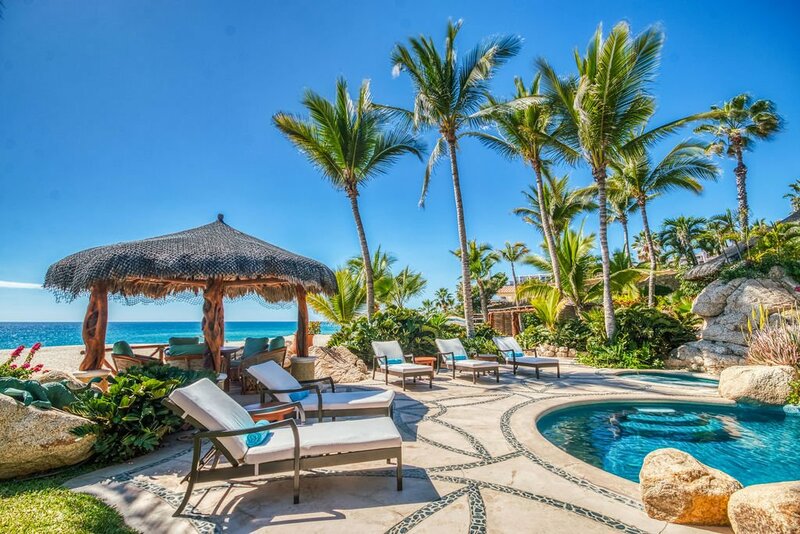 We offer detailed descriptions and pricing for various activities and personal services at Cabo Concierge. 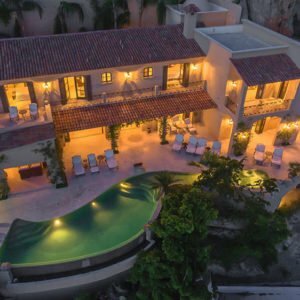 We would be delighted to have the opportunity to plan an incredible experience for you at one of the best kept secrets in México…Cabo San Lucas! Your first step is to give us a call and let us take it from there because remember, life is too short! 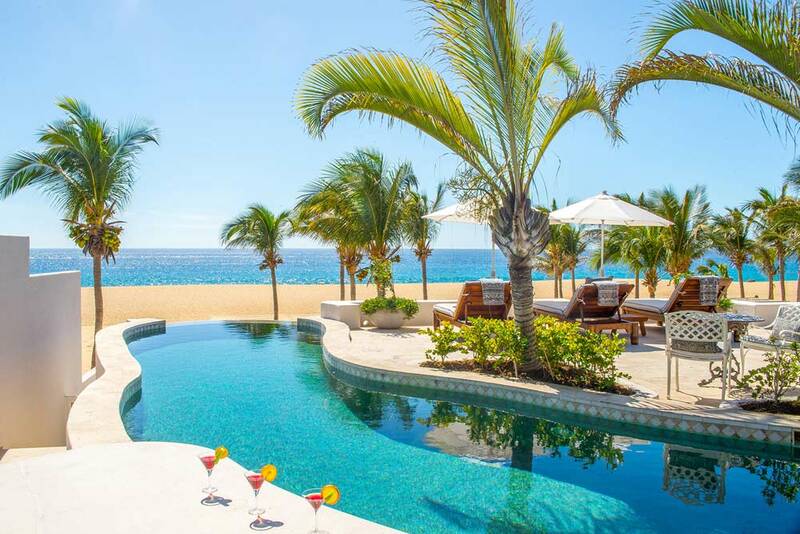 Experience a vacation the Cabo San Lucas Villas way and see why so many of our clients return year after year!.